This is a designer line-24 snap set. 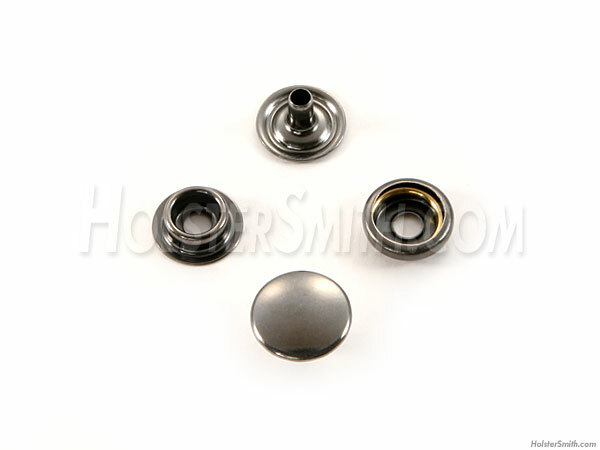 It features a plain cap with a gunmetal finish. This look will add plenty of cool factor to any project. This set comes complete with the 4 pieces needed to make a fully functional snap assembly. (post, male, female, cap). These snaps can be used for leather, nylon, canvas, kydex, rubber and much more. We recommend our Snap Setters for attaching this item.